God promises everything we need. God promises that our needs are met as we help the poor. The helping of the poor goes beyond the giving of resources. The poor, are in need of relationships, (just like everybody else). The poor, like everybody else, need a Savior. 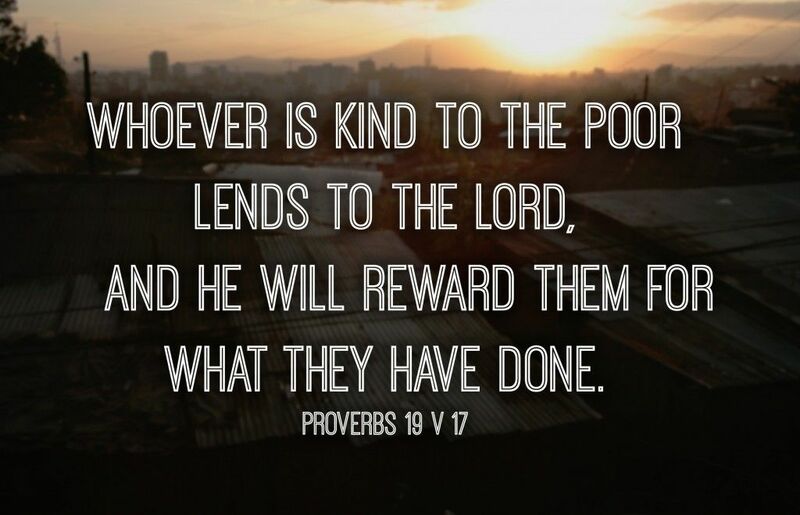 When We Help the Poor, We grow closer to the heart of God. When we help the poor, we align our hearts with God. God smiles when we help people in some way. We are all poor in some ways.